I don’t often do game reviews. I certainly wasn’t planning to do one when I first downloaded Spelunky for XBox Live Arcade when it came out on July 4. However, after becoming totally addicted to the game I feel compelled to do just that. This game is something special. Spelunky, written by Derek Yu, originally appeared in 2009 as a freeware game for Microsoft Windows. The game will instantly take veteran gamers back in time with a 16-bit console feel and music soundtrack and side-view platformer style. The object of the game is to take your adventurer through four different environments full of challenging enemies, booby traps and random surprises. Along the way there are various treasures to tempt you. Collecting these are not required to complete a level but are required to run up the score and to ensure you can purchase items when you find a shop. The player is armed with bombs that can blow holes in the floors and walls and ropes to help reach high places. Health is scarce in Spelunky. You begin with four hearts, all of which can be quickly lost in countless ways on each level. More hearts can be gained by rescuing “damsels” hidden in each stage, but doing so requires carrying her all the way to the exit. 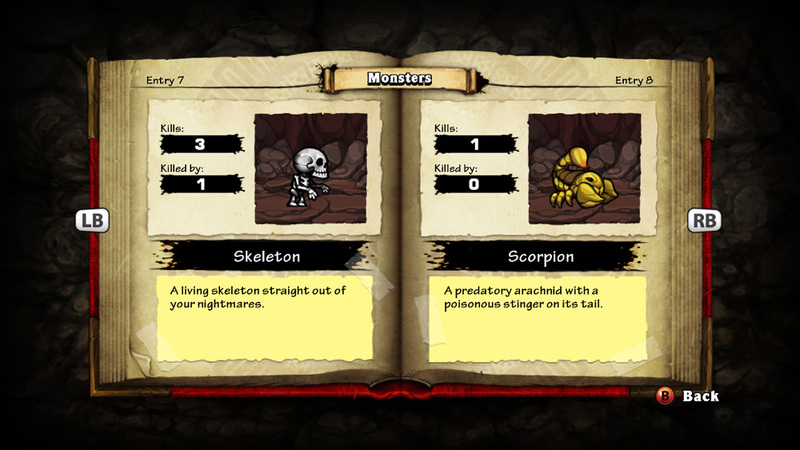 The charm of Spelunky comes with a unique combination of familiarity and surprise. It somehow borrows elements from numerous classic titles while managing to throw curveballs at almost any turn. That treasure chest or clay pot you just busted open could be full of treasure, helpful items or enemies. Picking up a valuable treasure might trigger a trap. Adding to the surprise factor are random levels. 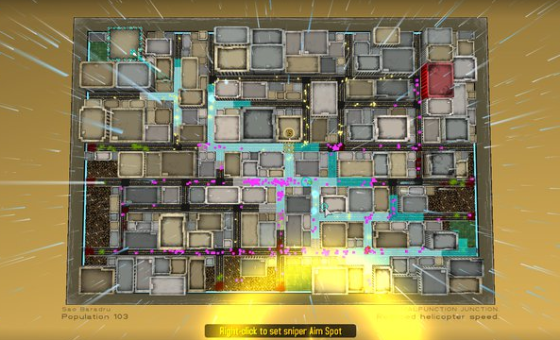 While each world has four levels to pass, the levels appear at random from a far larger pool, sometimes adding in total darkness or zombies as well. Spelunky is also an incredible challenge, yet somehow contains enough balance to remain charming. Personally, I am reminded of the very balance that hooked me on games like Lode Runner in the 1980s and the original Prince of Persia in the 1990s. Spelunky joins those titles on a short list of platformer games that have driven me just insane enough to demand that I have to try again, knowing that I’ll do better on my next go-around, only to dodge my previous mistake in favor of making a new one. Passing a level is extremely satisfying, even if you didn’t get any further than you have before by doing so. There is also an element of risk versus reward that exists in very few games of this kind. You will often find yourself at the end of the level, able to simply exit the door and move on, but tempted by trying to gain just a little more treasure stashed nearby. If you pull it off it is quite a thrill, but more often than not you’ll simply end up losing valuable health or finding sudden death, wondering afterward why you didn’t just leave while you could. Greed can also be costly due to time. Taking a page from 1980 arcade classic Berzerk, lingering too long on a stage will bring out an invincible enemy (a ghost in this case) that will end your point-pressing attempt cold if it catches you. All told, Spelunky is easily the most addicting and charming game I’ve come across on XBLA to date. I know people often hesitate on grabbing a game for 1200 Microsoft Points, especially if it doesn’t have a household name attached to it, but in this case it is more than worth the price. Spelunky is as addictive as it is challenging and will provide hours of entertainment before you’ve even realize you’ve been playing for hours. A must-buy. Patrick Scott Patterson (Scott or his gaming handle "OriginalPSP") has been gaming since 1981. A multiple-time video game world record holder as recognized by three organizations, Scott aims to help promote the fun and positive side of both past and present video game culture through this articles here and his official website at PatrickScottPatterson.com.